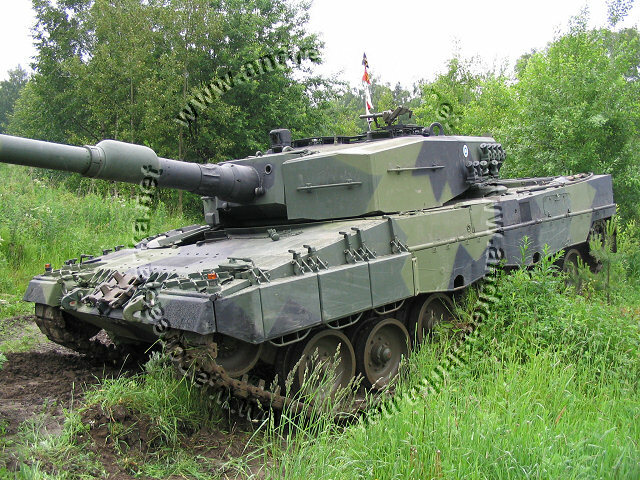 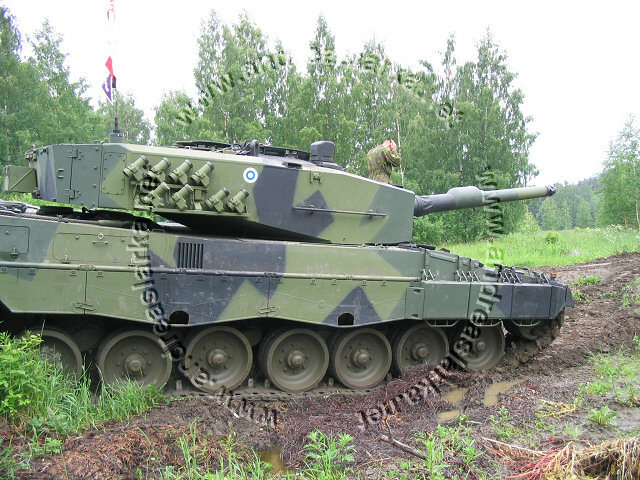 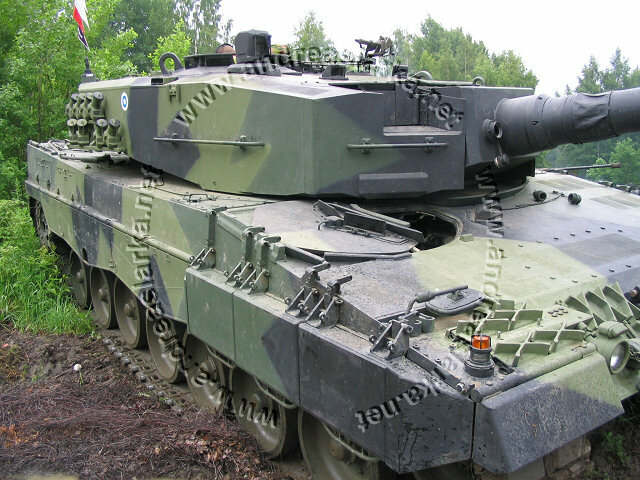 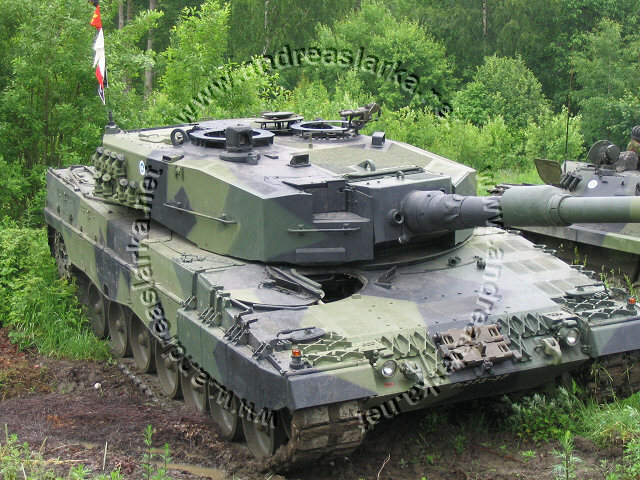 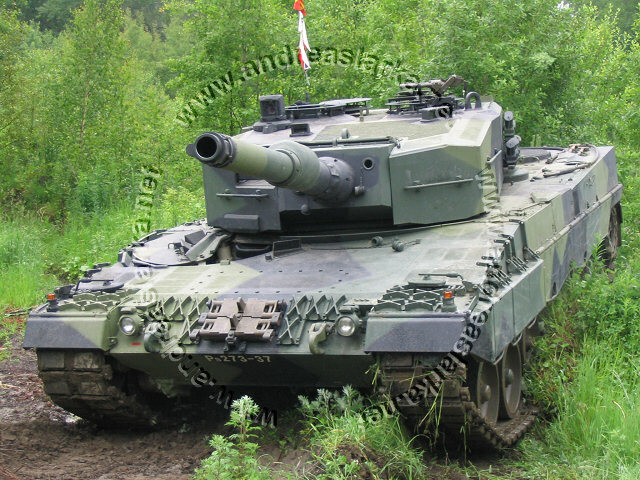 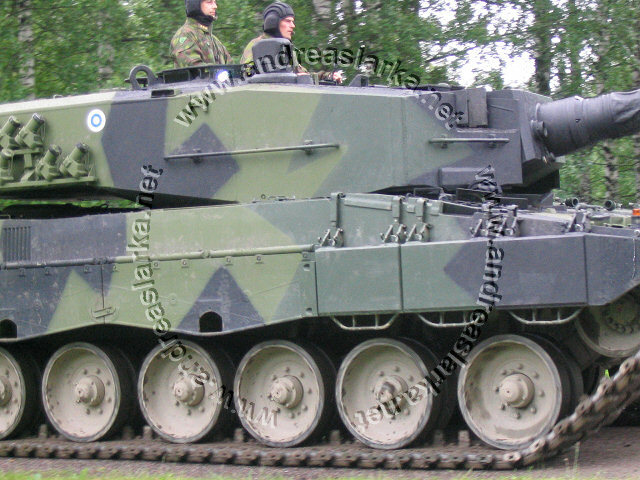 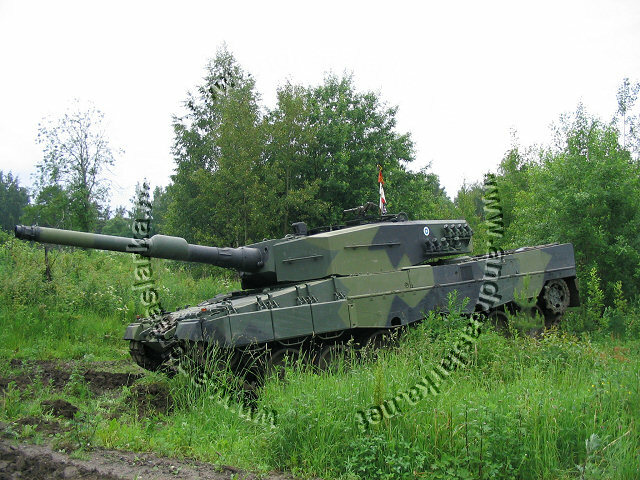 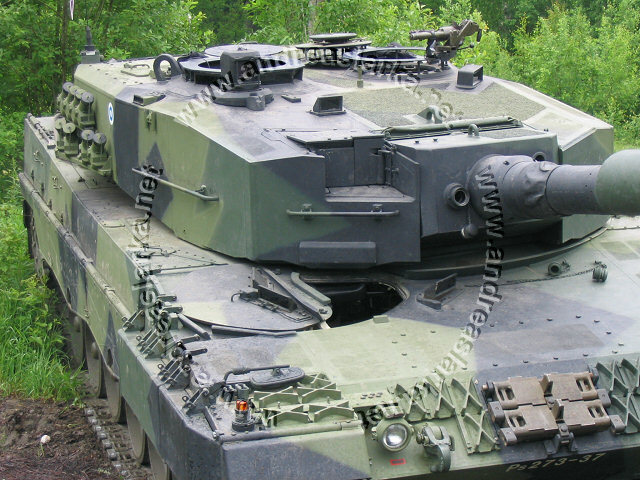 This Leopard 2 A4 has the correct Finnish three-tone-camoflage, the smaller outside modifications are done, but the more visible ones (turret handrails and boxes etc.) 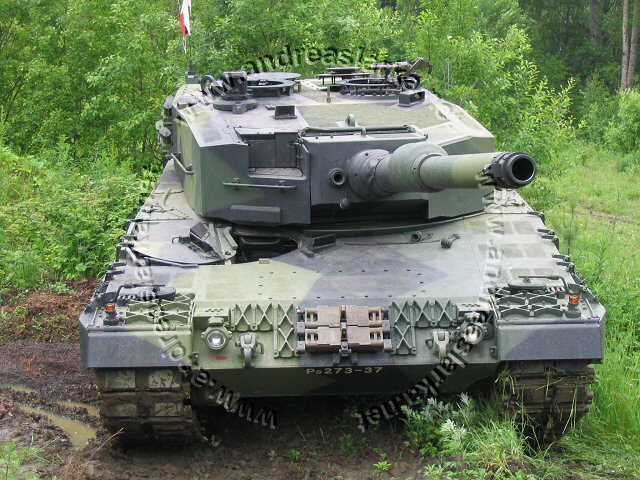 are still missing. 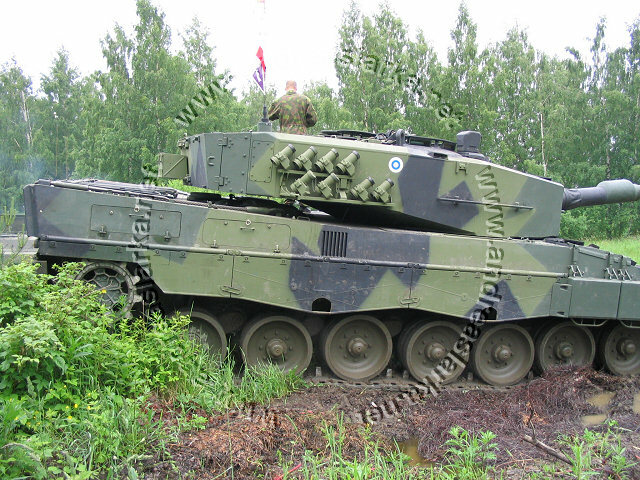 Note the Finnish made cut-out for the drive-sprocket. 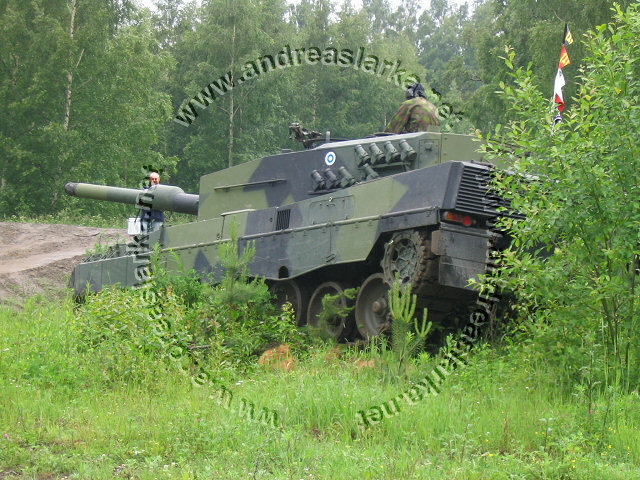 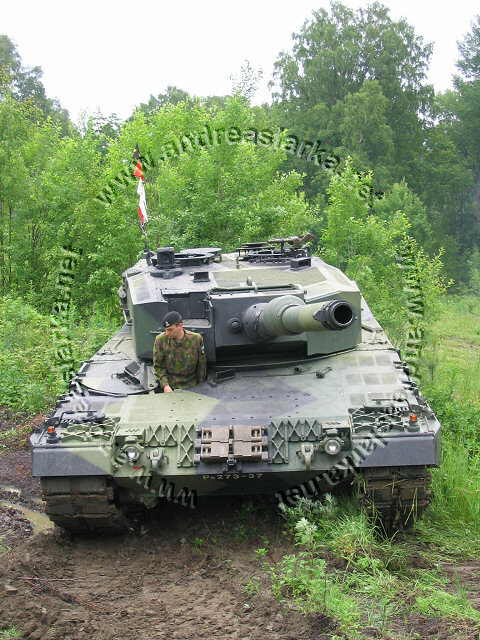 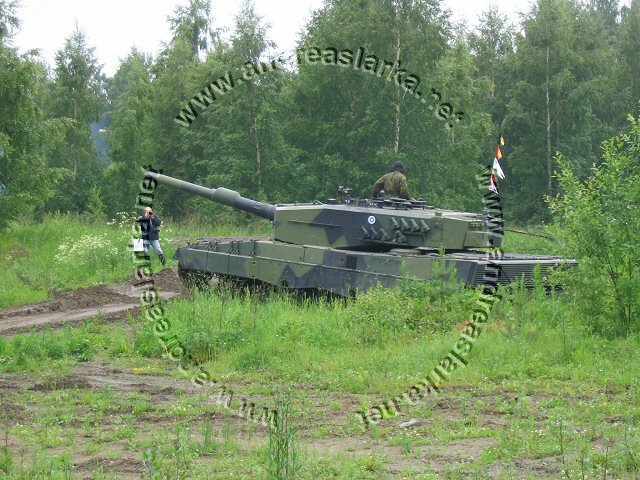 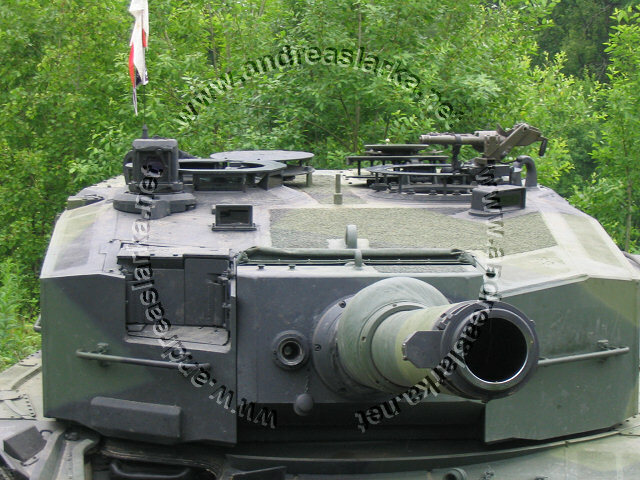 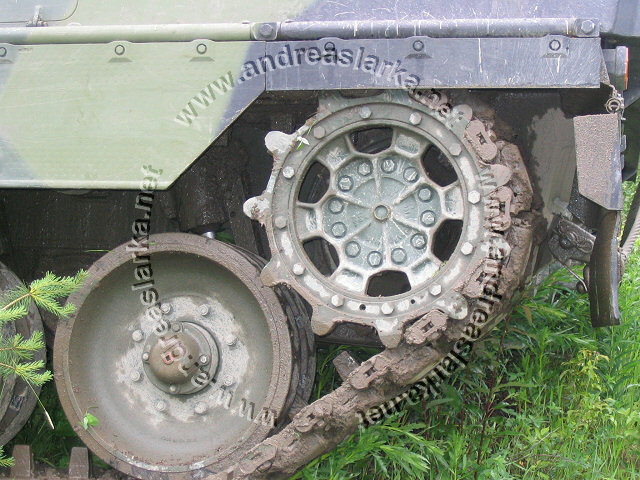 These pictures are taken on June 28th 2004 outside the Finnish Armoured Brigade in Parola, Finland. 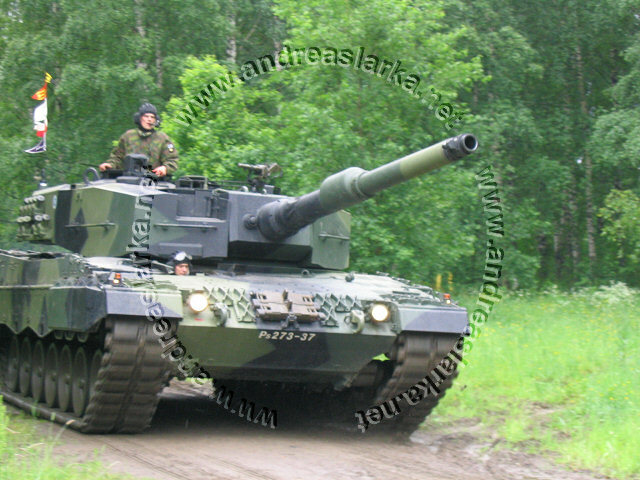 Photos and text © Copyright by Andreas Lärka, Finland. 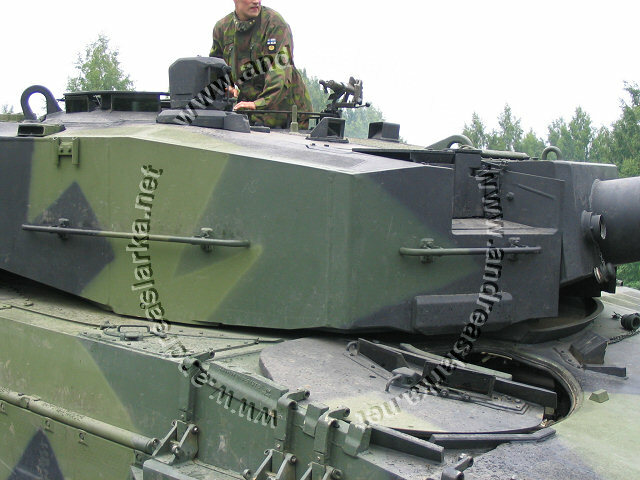 Thanks to Mr. Esa Muikku for supplying correct info about the Finnish mods.